Tosh village is one of the most beautiful village in Parvati valley. Nowadays youth become die-hard fan of tosh because of its purity and silence. Yes, tosh is quieter place than kasol and is also more beautiful than kasol. Tosh is located on the edge of the mountains. From Tosh village you can enjoy the scenic places like sarpass and some other mountains of pin Parvati range. That’s why tosh village has become hippie colony now. Himachal is a beautiful state with a good population 70lakhs and has many beautiful places. Tosh is a small village in Himachal Pradesh with very beautiful scenic views. Tosh village is a very old village but now you will find many guesthouses in Tosh village. It doesn’t have too much population but before it became tourist place the main work of tosh people was feeding cows and sheeps. Tosh valley is not considered that much in Parvati valley because tosh valley has very limited area, so you can’t consider it as valley. It is just a few kms in area. 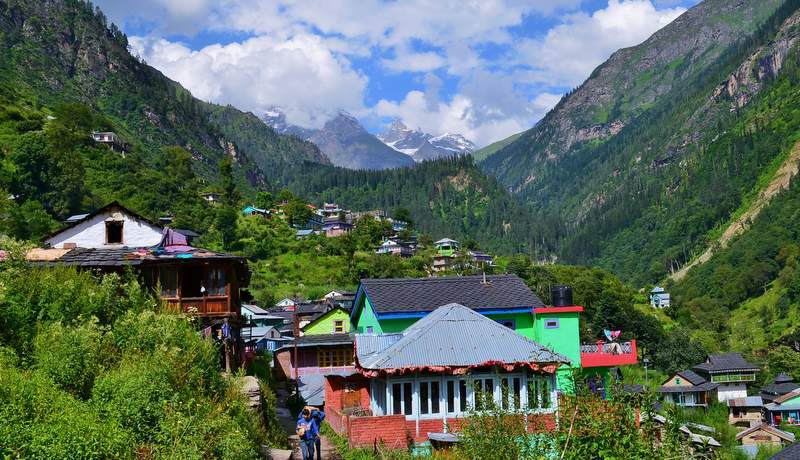 The distance from kasol to tosh village is 20KM but for tosh village you have to walk at least for 5 to 10Min it depends on you on which particular location you want to stay. Tosh tosh trek is not that much long, hardly you have to trek for 1km to reach at the top of tosh village. If you want to see beautiful snowcapped mountains then you should stay in guesthouse which are located at the top of mountains. It is not that much difficult to reach tosh from Delhi or other places of India. All you have to do is just take Delhi Manali or Delhi Kasol(Only one volvo present in this route KTC)volvo bus from Delhi. You can take both the buses because kasol road and manali road departs at the Bhuntar from where you have to choose either Kasol or Manali. In Delhi-kasol bus you will leave the bus at kasol but in Delhi Manali bus you have to leave bus at Bhuntar. If you are a bike lover then you can rent a bike in Bhuntar and visit Kasol Manali tosh or any other places in Parvati Valley. Because Kasol is not good place for renting a bike. But if you want a budget travel then you should go for a local bus. The bus fare is 60-70 rupees from Bhuntar to barshaini and the distance is 50km. After Barshaini you can take either taxi or walk. 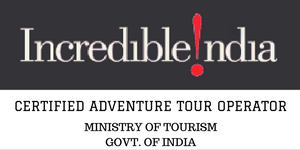 But if you booked your direct bus till Kasol then after leaving the bus you can take local bus. You can also take taxi till tosh. Local bus goes upto barshaini and tosh is 4km ahead from Barshaini. So you have to hire a taxi from Barshaini to tosh. The distance from Delhi to Bhuntar is 483KM. Bhuntar to Barshaini is 50km and Barshaini to tosh is around 4km. Then the total Delhi to Tosh distance is just 537KM. The total trek distance from tosh to Kheerganaga is 16km if you choose tosh nakthan rudarnaag.